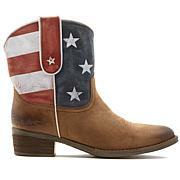 From county fairs to fashionable days (nights too) on the town ... Sheryl Crow's collection of boots are perfect for walking a fashionable line with a trendsetting saunter. Leather construction and details make these profiles profoundly indelible, and irresistible. Add them into your wardrobe and walk in style. 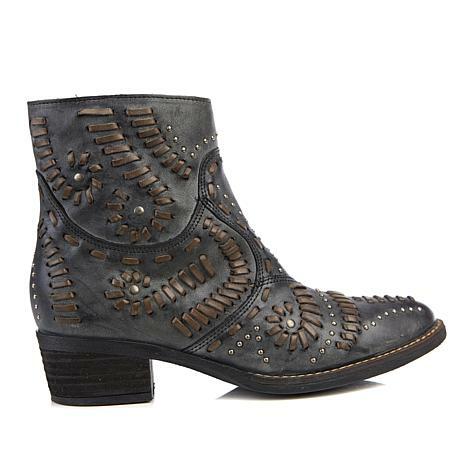 These are the coolest & most trendy booties I have ever owned. Every time I wear them I get compliments. They are very comfortable & I can wear all day with no problem. 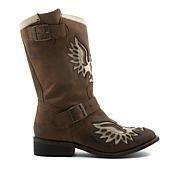 I have the brown & now I want the other color but they don't have my size but I check periodically. They are expensive but worth every penny!!! The detail on these are beyond anything I have seen in the stores and Bravo to you Sheryl for sharing with us your incredible style choices. From the moment out of the box to putting them on they fit beautifully and no rubbing. I wear my boots barefoot. They have to fit well and be well made to not have issues. The leather is an amazing color variation and such attention to detail. They are my new obsession and go to for any season and any fashion choice. Just perfection. Thank you Sheryl! My first Cheryl Crow brand purchase. My foot is hard to fit: high instep, shorter toes, wide toe box, skinny heels. Depending on the brand, wear 7 1/2 to 8 size. I rarely buy online unless there is free shipping/returns. Purchased the gray color in size 8. These boots fit perfectly right out of the box. No wiggle room for socks unless they are thin material. They have stretched a bit after wearing a couple hours but not a lot. Look better in person. 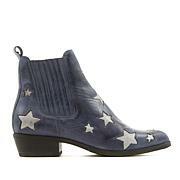 I ordered the grey-tone boots. 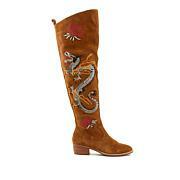 They are a great boot, very stylish and comfortable! I ordered a half-size up so I can wear a thin sock.